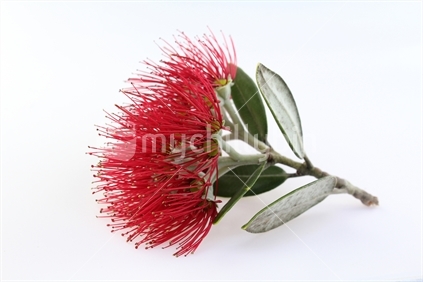 Single New Zealand pohutukawa blossom, isolated on white background. Single New Zealand pohutukawa blossom, isolated on white background. - mychillybin genuine NZ photo image.